The longer I play the violin, the more I realize that a key to good playing is balance. Improving my right hand is fine, but it is much better if I work on my left hand as well. It is the same with the balance between having a strong hand and a flexible, dexterous hand. Big word there? All I mean is that we need to work on finger independence at least as much as we work on finger strength. We need to be able to move one finger without it greatly affecting the movements of the others. We are seeking nimble, agile hands. That is much more easily said than done! Any exercise that you can do in which you move one finger independently of all others is helpful. And don't think that it is important to exercise the left hand more than the right! Whatever exercise you perform with your left hand (other than those holding the instrument) you should be able to perform with your right, and vice versa. Work on this whenever you get the chance! A simple, but effective, finger independence exercise is simply to make a fist. Then one finger at a time, slowly uncurl the finger, extend it fully, then curl it back into a fist. Do that ten times with each finger. When ten comes easily, do it twenty! Increase in tens up to fifty repetitions per finger. No equipment required. You can do it anywhere. And the flexibility and finger independence gained can be extremely valuable. Besides, you can amaze third graders when you show them that you can move your ring finger by itself! Here are a couple devices you can use to help with finger strength and independence. Squeezing and extending fingers one at a time will work on both! And Don't Forget, When You Do Hand Exercises, Bow Exercises or even Take a Break During Practice...Put Your Violin Someplace Safe. A Violin Stand Can Help! Haven't Been to Our Christmas Section Yet? Let Me Think, Does That Deserve Being Put on the Naughty List? Probably Not, But Why Don't You Click on Santa and Take a Look Just to Make Sure! * Violin Tips for Practice and Rehearsals. 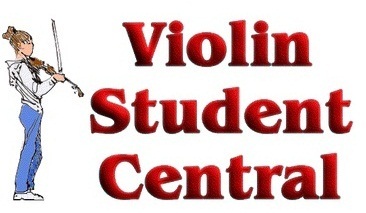 * Violin Technique and Exercises. * How to Care for Your Violin. Anyone Interested in Stringed Instruments. doing! Balance in Hand Exercises is Important!